What's on at Bedford Autodrome? The world's best corporate hospitality motorsport event, also available to individuals - drive seven high performance cars flat-out in one perfect day at Bedford Autodrome. Can I spectate? Yes - please call 01403 733 999 for further details. Click here for details on local hotels and bed & breakfasts near to Bedford Autodrome. 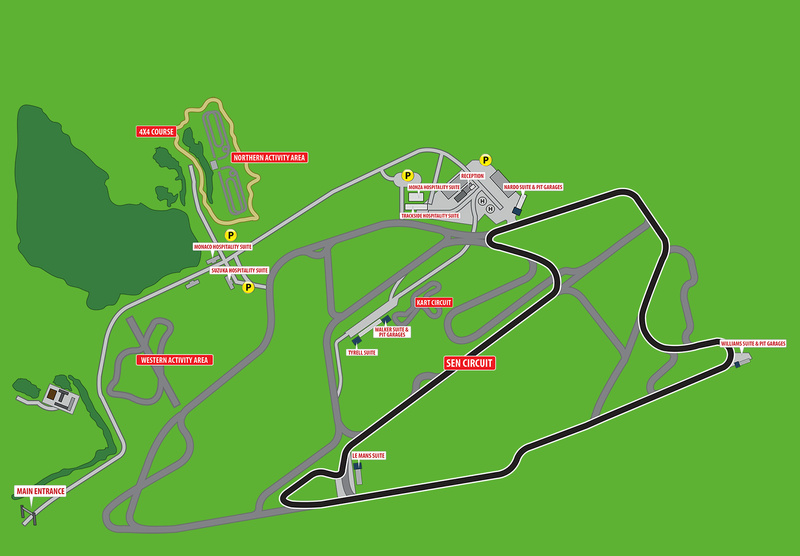 Designed from scratch by former F1 driver Jonathan Palmer, there is nowhere else in the world like Bedford Autodrome. The venue has been purpose built for speed and space, containing four entirely distinct circuits and over 5 miles of track laid out across a 384 acre site, with vast run-off areas that provide optimum safety. Whilst there are several track configurations, with every kind or corner, there's no motor racing at the Autodrome, so there's no crowd-protecting safety barriers or concrete walls. Guests can drive to the limits safe in the knowledge that pushing too hard will result in a harmless spin across endless flat grass. Whether you're a guest as part of the world-renowned PalmerSport event or you're enjoying a trackday, Bedford Autodrome is the best place on Earth to drive fast cars to the limit. The history of Thurleigh Airfield can be traced back to the Autumn of 1940 when it was used as a base for bomber aircraft in WWII. In September 1942 personnel of the 306th Bombardment Group moved in and they remained until Autumn 1945. A memorial to those who served stands proudly in Thurleigh village. Post-war, aviation was seen to offer great commercial and technological opportunity and powerful wind tunnels were built on a site above the village of Milton Ernest to meet the challenge of supersonic flight and with the acquisition of additional land to the east, a custom-built flight-test facility was superimposed on the existing war-time Thurleigh airfield. Flying re-commenced in 1954 and research at Thurleigh led world aviation development in many areas including aircraft control and handling, supersonic transport development (Concorde) and military vertical take-off and landing [Harrier]. The venue was totally rebuilt as a corporate driving facility in 1999 by Jonathan Palmer's MotorSport Vision Group and has since played host to hundreds of thousands of guests on the legendary PalmerSport event. In 2010, seventy years after the original conception, the new Bedford Aerodrome facility alongside the circuits was also opened.